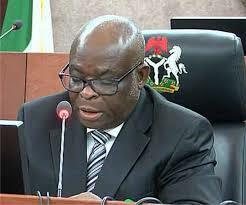 The suspended Chief Justice of Nigeria, (CJN), Justice Walter Onnoghen, on Monday alleged that his Assets Declaration Form 001 at the Code of Conduct Bureau (CCB) had been tampered with. CCB assets declaration forms of 2014 and 2015. The prosecution after calling its 1st witness, James Akalla, a Senior Investigative Officer with the CCB, had sought to tender the said documents in support of his evidence against Onnoghen. However when the documents were shown to the defendant, Onnoghen through his counsel, Chief Adegboyega Awomolo SAN, however said a careful look at the documents showed that they had been tampered with. According to him, the 2014 form has become loose, part of it mutilated and has become blue in a way. Awomolo said a similar observation was made in the 2015 form with some duplication and omission of some pages. “We have some reservation on the documents, we will not object in the interest of justice but we have reservations that would be addressed at the end of the day”, the senior lawyer stated.